Measure the area where your patio cover will go. Select the size kit you need. Note: Have you checked your Home Owner’s Association to make sure you can install this kit? 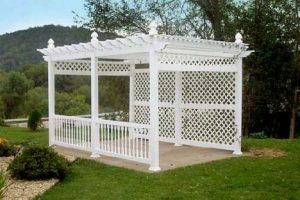 The pergola has certainly added a sense of individuality and maintenance-free elegance lacking in the surrounding patio homes. The materials are perfect and the workmanship superb!